Muse: Kalki Koechlin. Photographs by Jatin Kampani. Art by Dhruvi Acharya. Styling by Nisha Jhangiani. Assisted by Shirin Salwan. Make-up and Hair by Clint Fernandes. 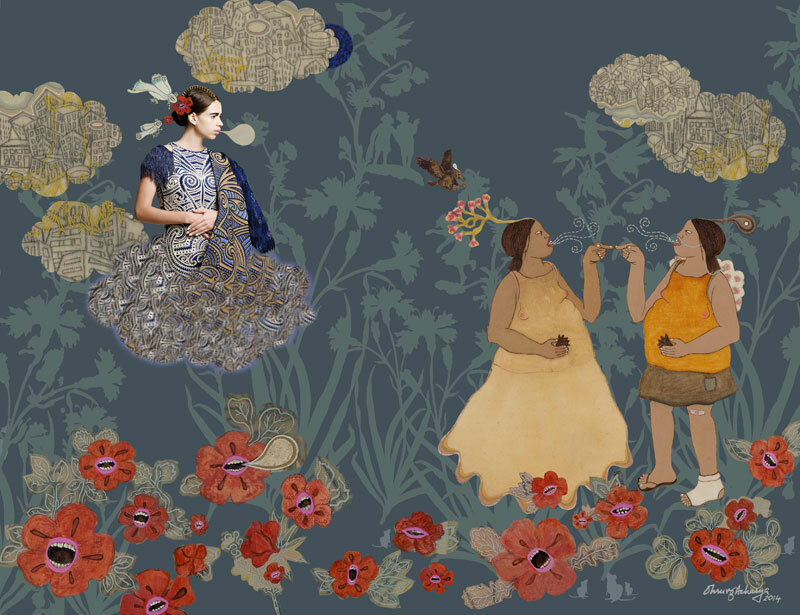 Dhruvi Acharya began exhibiting internationally in 1998, soon after receiving her MFA from MICA, USA. Her work focuses on the physiological and emotional aspects of an urban woman’s life in a world teeming with discord, violence and pollution. After nine years in the US, she currently lives and works in Mumbai.